A 2D Zelda Title For The Switch "Is Definitely A Possibility" | Nerd Much? With how good Breath of the Wild looks, a 2D game could be very interesting indeed, depending on what Nintendo plans on doing with it. It could be that we’ll have another Tingle game on our hands, though some diehard fans still loved those. What would you like to see in a 2D Zelda game for the Switch? 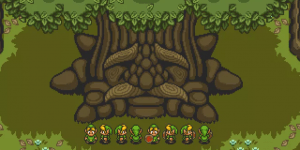 Something like A Link Between Worlds, or more like Tri Force Heroes? Let us know in the comments below! For the latest gaming news and rumors, stay tuned to Nerd Much?